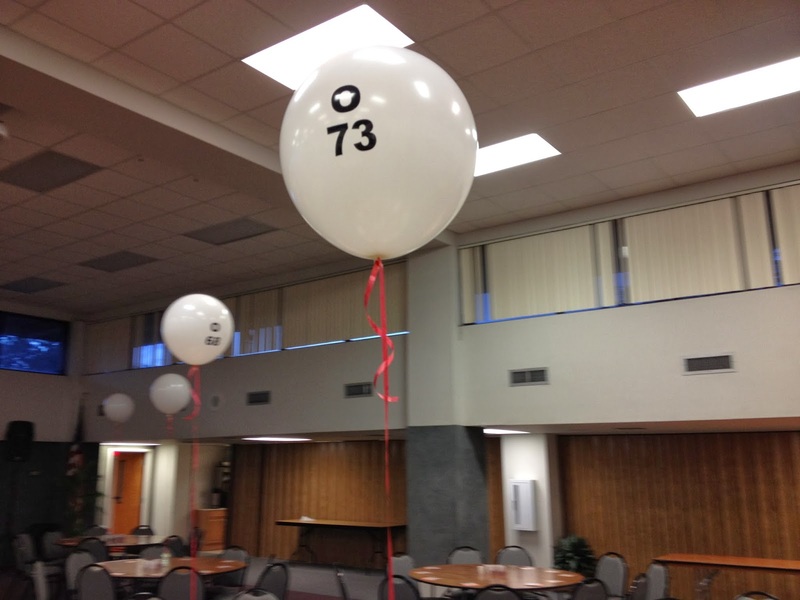 We added custom numbers and letter to these 17 inch round balloons to resemble the numbers called at Bingo! 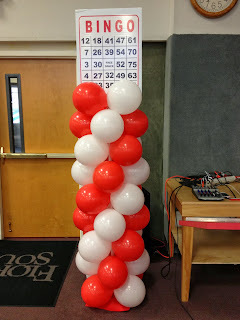 Custom Bingo Card sign made to go on top of a Garland Balloon column to make the perfect Bingo themed décor for the students during move in week. 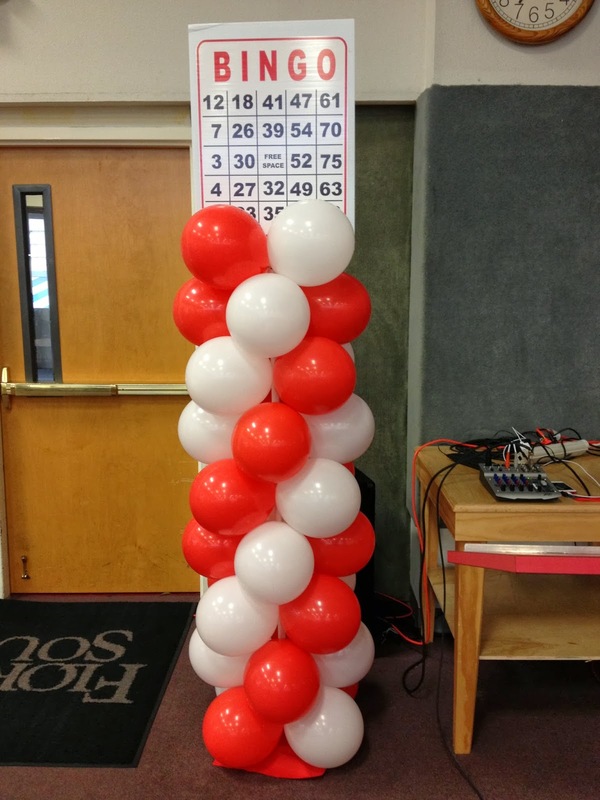 Call 863-255-2025 or visit our website and fill out contact form http://partypeoplecelebrationco.com to order custom décor for your special event!